You start on Apollo’s “home” page where your subreddits are listed. In the top left, you can tap the + button and then choose the option to Create Multireddit. 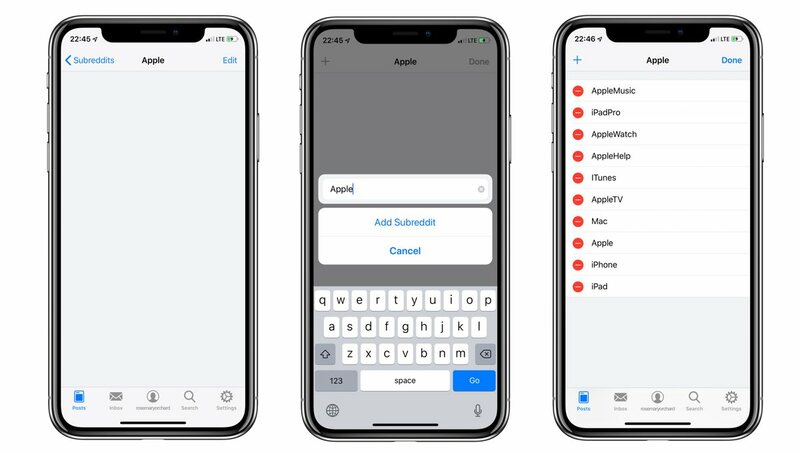 After this, you need to give the multireddit a name — I’m calling mine Apple, and I’ll add any Apple related subreddits I want to follow here. The next step is to add subreddits to your multireddit. You can do this by editing your multireddit (top right), and then using the plus in the top left of the screen. You can delete subreddits by tapping the red icon with the dash in it to the left of a subreddit. Once you’re done, tap Done in the top right, and you can begin to browse through your multireddit. If you want to edit your multireddit later, you can tap the button with the three dots in the top right, and then Edit. 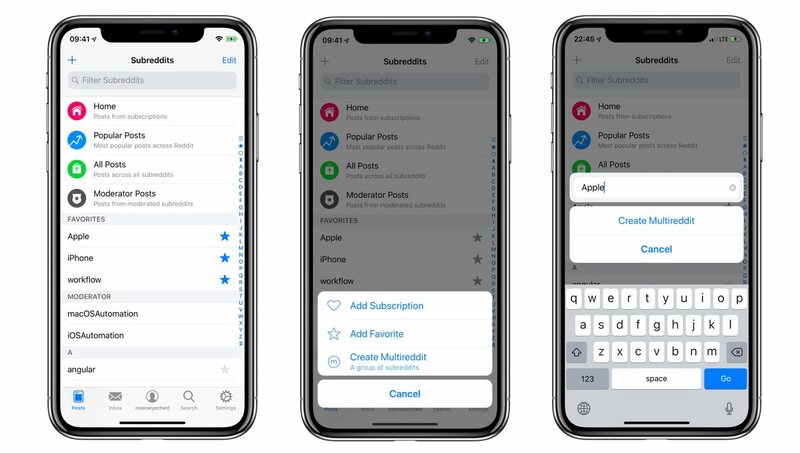 This brings you back to the screen where you can add and remove subreddits. On the home screen of Apollo, you can now see your multireddits under the standard links (Home, etc.) and your favorites. 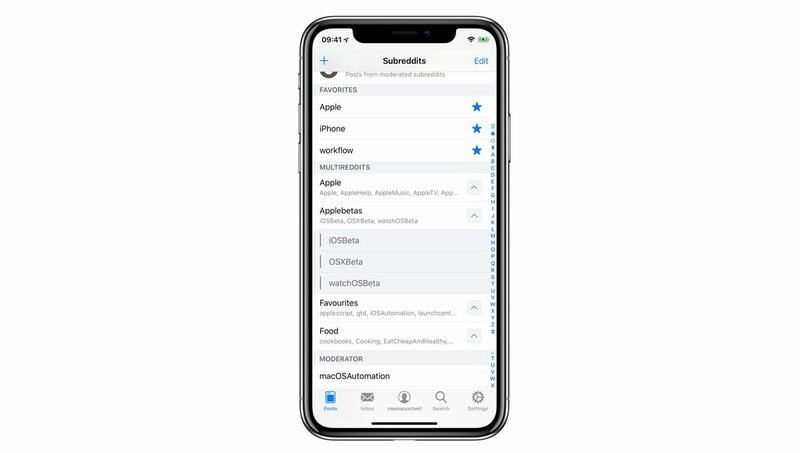 You can even collapse and expand your multireddits, allowing you to see which subreddits are inside — handy if you want to jump straight into the iOS beta subreddit!